Among the millions of garage doors in the United States most mechanisms are similar, but when the fresh prime period after garage door installation passes by, they start behaving completely different. Their differentiation is not caused to the slight variations among types and parts, but also due to the weather conditions and temperature variations of each location as well as due to the differentiation of how people are taking care of them. Don't forget that garage doors are also used completely differently by each family since one family may operate the mechanism ten times a day and another once every two days. What does the frequency of maintenance depend on? Each family must consider its own lifestyle and the specific characteristics of the door and take into consideration several other factors as well. How often do you open the garage door? Most mechanisms are given a specified time for life expectancy depending on an average 2-4 times a day operation. It would certainly depend on the age of the opener and its force, but since it's the most important unit of the system, you should check it regularly because your security and safety depend on its good functioning. What's the weather like? If the weather experiences extreme transformations, you would need more frequent garage door repairs. Low or high temperatures would affect the mechanism and possibly specific partslike the springs, which may dry or freeze losing their good flexibility. 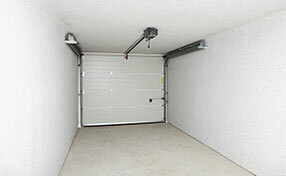 In this case, you would have to check all garage door parts, especially the mechanical ones, often and lubricate them. At the same time, you must check the condition of the door depending on the material. Wood, which is sensitive to moisture, must be maintained more often than aluminum. How fast are you taking care of problems? When you repair the small or big problems right away, you help the system live longer because the other parts are not affected by the problem. 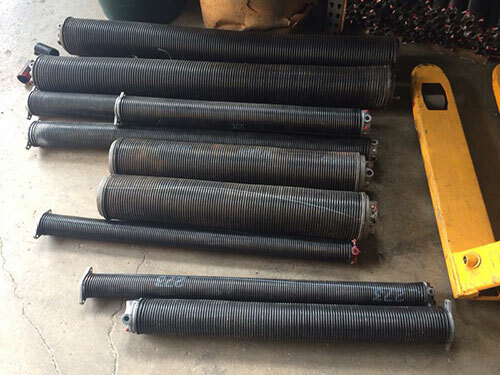 For example, if the cable is loose the springs will suffer a lot because they will have to do most of the job on their own since cables will be useless or keep the pace down. Frequent repairs can guarantee more rare maintenance and regular maintenance can guarantee scarce repairs.